In a letter addressed to three ministers and the National Human Rights Commission, the MPs asked the government to work towards a more open civil society. Several European MPs have expressed concern at the crackdown on human rights activists and organisations in India and called upon the government to work towards a more open civil society space, The Wirereported on Tuesday. The letter, dated February 7 and signed by 20 members of the European Parliament, is addressed to Minister of Law Ravi Shankar, Minister of Social Justice and Empowerment Thaawarchand Gehlot, Minister of Tribal Affairs Jual Oram, and National Human Rights Commission’s nodal officer for human rights defenders Srinivasa Kammath. “These are worrying signs of shrinking civil society space in India,” said the MPs who have called upon the government to release all detained human rights defenders, drop charges against them, and allow them to freely carry out their work. 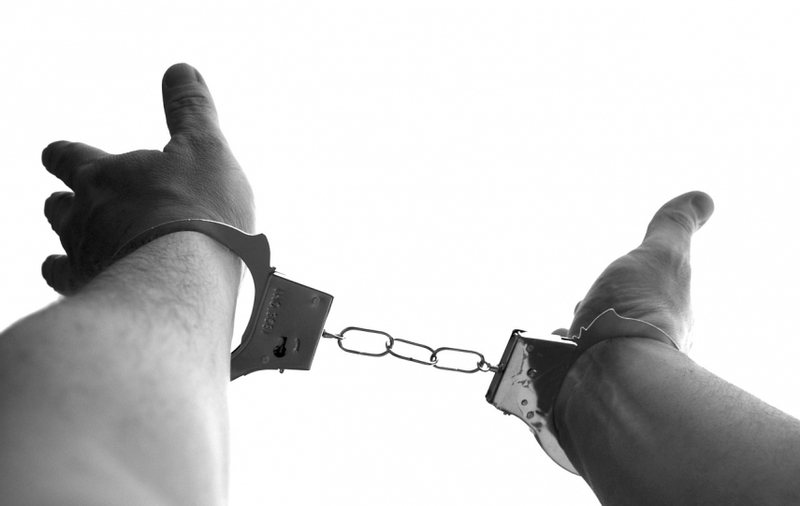 The MPs cited the arrests of activists Surendra Gadling, Rona Wilson, Sudhir Dhawale, Shoma Sen and Mahesh Raut in June 2018, and that of Sudha Bharadwaj, Varavara Rao, Arun Ferreira, Vernon Gonsalves and Gautam Navlakha two months later. The activists were accused of having links with the banned Communist Party of India (Maoist). 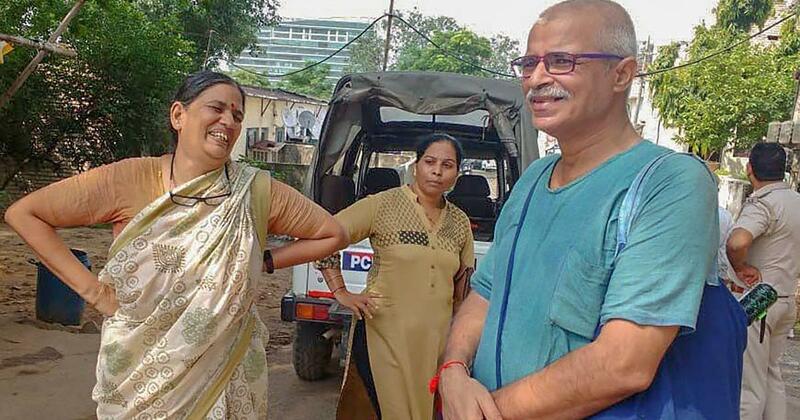 Bharadwaj and the others were accused of organising the Elgaar Parishad event to mark the 200th year of the battle of Bhima Koregaon on December 31, 2017, a day before clashes erupted in the village between Dalits and Marathas. Waleed Abu al-Khair, until silenced, was the most prominent advocate for democratic and human rights reform in Saudi Arabia. Founder of the Monitor of Human Rights in Saudi Arabia, he used the written and spoken word coupled with legal knowledge to fearlessly advocate for reforms to improve the lives of all by calling on Saudi Arabia to allow its citizens to enjoy internationally protected rights to freedom of expression, association, assembly and the right to participate directly and indirectly in public affairs. He did this work through writing and public speaking, by providing a safe space for peaceful discussion of issues of public concern and by providing an example of responsible advocacy for justice for all. He represented activists and reformists and advocated for prisoners of conscience. He used his training and skills as a lawyer to advocate for an elected parliament, an independent judiciary, a constitutional monarchy and recognition of internationally protected human rights. He wrote many articles identifying human rights abuses and the need for legal reform, always recommending reliance on the rule of law and proper legal procedures to promote reform and settle disputes and differences of opinion. He never used or advocated violence as a means of opposition or a tool of reform. Waleed Abu al-Khair’s self-less and peaceful advocacy has been recognized by these awards: the Olof Palme Prize (2012), the XXth Ludovic-Trarieux Human Rights International Prize (2015), the Law Society of Ontario Human Rights Award (2017), and the Right Livelihood Award (2018). In reprisal for lawful advocacy Saudi Arabia banned Waleed Abu al-Khair from travel (1.04.12) and (2013) prosecuted him. When these charges resulted in a 3-month sentence, Saudi Arabia re-charged him with similar offenses this time under the Penal Law for Crimes of Terrorism and its Financing to be determined by the Specialized Criminal Court (SCCt).He was arrested (15/04/14) without cause or warrant while before the SCCt. The Lithuanian Prosecutor General’s Office is asking a court to extend the arrest of Drasutis Zagreckas, a well-known lawyer detained in a large-scale judicial system corruption probe, for another two months. The Vilnius City District Court began to examine the prosecutors’ request on Tuesday. Sources have told BNS that Zagreckas may face the most charges among the 45 suspects in the case. New suspicions have been brought against him recently. The lawyer was arrested for a month in late February, which has led to the postponement of some trials in courts recently. Zagreckas has had his law firm in Vilnius for 21 months. In 2013, he represented Dmitry Ustinov, a Russian citizen who was extradited to the United States for prosecution. 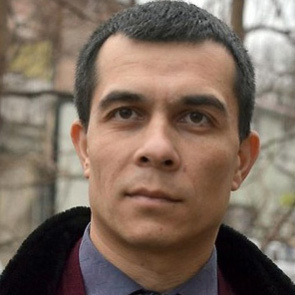 In 2014, the lawyer represented Komiljan Umarov, a Tajik citizen suspected of large-scale drug smuggling. He fled from law-enforcement bodies after a court released him. The court has announced its verdict in the case of the Contemporary Lawyers’ Association. The lawyers have been given prison terms between 3 years, 1 month, 15 days and 18 years and 9 months. The third sequential hearings of the case of the lawyers from the Contemporary Lawyers’ Association (ÇHD) and People’s Law Bureau (HHB) have been held at the İstanbul 37th Heavy Penal Court in Silivri Courthouse. The court has announced its verdict without taking the lawyers’ defenses as to the accusations. 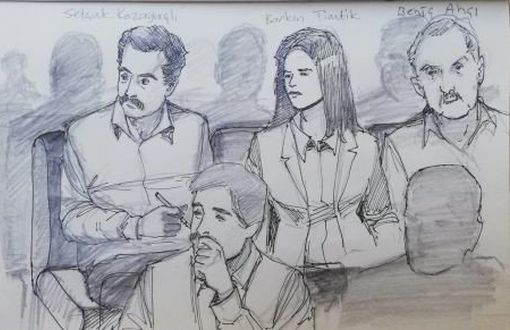 Ahmet Mandacı, Zehra Özdemir, Ayşegül Çağatay, Yağmur Ereren, Didem Baydar Ünsal, Yaprak Türkmen, some of the lawyers who were being tried without arrest, have been sentenced for “willingly and knowingly aiding a terrorist organization,” upon the Articles 314-3 and 227-2 of the Turkish Penal Code. The court reduced the sentences Mandacı and Özdemir by one-sixth because the two defendants were present at the hearings, sentencing them to 2 years, 13 months and 15 days in prison. The period when they were held arrested will be deducted from their prison terms. The court also lifted the lawyers’ bans from traveling abroad. Barkin Timitk: 18 ans + 9 mois, Ebru Timtik et Özgür Yilmaz: 13 ans et demi, Selcuk Kozagacli: 10 ans + 15 mois, Engin Gökoglu, Aytac Ünsal and Süleyman Gökten : 10 ans 6 mois, Naciye Demir, Aycan Cicek: 9 ans, Ezgi Cakir: 7 ans + 12 mois. Tous les autres entre 2 ans et 4 ans. Tous ceux qui étaient détenus restent en prison. Libérez nos confrères de Turquie. Du 18 au 20 mars s’est déroulé le troisième acte du simulacre de procès à l’encontre des avocats du ÇHD (Progressive Lawyers Associations) et du HHB (People’s Law Office). Toutes les requêtes de devoirs complémentaires (auditionner les enquêteurs et le Procureur, ré-auditionner les témoins dont il est prouvé qu’ils ont menti, auditionner d’autres témoins,…) sont rejetées en un quart d’heure de pause. Les demandes de délais complémentaires pour présenter la défense au fond sont rejetées. Les avocats détenus, demandant la récusation des juges, sont expulsés de la salle d’audience. Le micro de Selçuk KOZAĞAÇLI est coupé en pleine plaidoirie, lorsqu’il dépose plainte auprès du Procureur (qu’on entendra jamais et qui a changé entre les deux audiences…) contre les violations manifestes de la procédure par les juges. Les avocats de la défense sortent, par solidarité avec leurs clients empêchés de s’exprimer et d’assister à leur propre procès. Le juge décide de ne plus laisser entrer la défense dans le prétoire pour le reste de la journée. Dans la foulée, le public est également interdit d’accès. Les avocats détenus ne comparaissent pas, trop affaiblis par leur grève de la faim entamée 56 jours auparavant. Seuls deux avocats en liberté conditionnelle comparaissent. Les avocats de la défense ont mandat de ne pas représenter leurs clients absents et de boycotter la salle d’audience. Le juge annonce que le procès est fini, dès lors qu’aucun devoir complémentaire n’est nécessaire, qu’il a rejeté la demande de récusation et que personne ne présente de défense sur le fond du dossier. Une heure de pause pour attribuer des peines à 18 avocats accusés sur base d’un dossier irrégulier et bancal, examiné dans un festival de violations de règles procédurales. Les avocats sont à l’extérieur de la salle d’audience. Ils applaudissent à tout rompre, par protestation, durant les dix minutes de lecture des peines attribuées. Ahmet MANDAÇI et Zehra ÖZDEMIR (comparaissant volontairement) : 2 ans, 13 mois et 15 jours de prison, levée du contrôle judiciaire, car ils ont comparu jusqu’au verdict. Yagmur EREREN EVIN, Yaprak TÜRKMEN (refusant toutes de comparaître) : 3 ans et 9 mois de prison. Leur détention était levée depuis septembre, mais elles n’ont pas comparu le dernier jour d’audience. Ezgi ÇAKIR (absente) : 7 ans et 12 mois de prison, sous le bénéfice de la surveillance électronique, puisqu’elle s’occupe seule de sa fille en bas-âge, en l’absence de son époux, également emprisonné. Aycan ÇIÇEK (détenu) et Naciye DEMIR (absente) : 9 ans de prison. Engin GÖKOGLU (détenue), Aytaç ÜNSAL (détenu), Süleyman GÖKTEN (absent), : 10 ans et 6 mois de prison. Selçuk KOZAGAÇLI (détenu) : 10 ans et 15 mois de prison. Behiç ASÇI (détenu) et Sükriye ERDEN (absente): 12 ans de prison. Özgür YILMAZ (absent) et Ebru TIMTIK (absente): 13 ans et 6 mois de prison. Barkin TIMTIK (absente) : 18 ans et 9 mois de prison, considérée comme étant la dirigeante de l’organisation. Ces défenseurs des droits humains avaient notamment soutenus les victimes de catastrophes minières, les victimes des assauts à Cizre, des enseignants persécutés, des victimes de torture ou encore des foyers modestes expropriés de leurs biens. Plusieurs centaines de policiers militaires armés évacuent le public et les observateurs de la salle d’audience, puis évacuent l’ensemble des avocats, public et observateurs de la salle des pas perdus, en avançant en rang d’armée. Rapport détaillé à venir prochainement. Avec Robin Bronlet, Juliette Arnould, Juliette Vanderstraeten, Katrien Desimpelaere et Noémi Desguin, nous représentions le Barreau de Bruxelles, le Barreau de Liège, l’Ordre des Barreaux Francophones et Germanophones de Belgique (OBFG), le Conseil des Barreaux Européens (CCBE) et l’Union Internationale des Avocats (UIA). Zimbabwe President Emerson Mnangagwa has issued a chilling warning to lawyers and doctors who assisted victims of a deadly government crackdown on fuel protests last month. 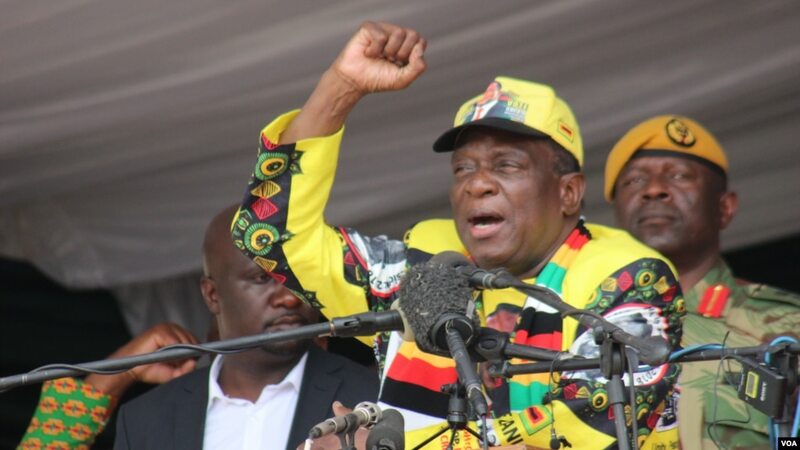 Speaking at a rally over the weekend, Mnangagwa vowed his readiness to deploy soldiers again to thwart protesters. The southern African nation’s main labor body, the Zimbabwe Congress of Trade Unions (ZCTU), called the mid-January protest over a 150 percent fuel hike, urging people to stay away from businesses and commercial activities for three days. The government has blamed the opposition MDC Alliance for violence that left 13 citizens dead and scores injured. Citing media and civil society reports, the alliance counters that security forces led the charge to loot businesses. Mnangagwa previously had called for an investigation into the violence. But at a rally Saturday, he chillingly vowed to pursue human rights lawyers and doctors, claiming they were aiding and abetting protesters. “We are going to hunt down lawyers and doctors who were inciting violence. We are now going after them,” the Zanu PF leader said in Rutenga, a community some 450 kilometers south of the capital, Harare. Ronald S. Sullivan Jr. is upholding a vital civic good. The law professor Ronald S. Sullivan Jr. is among the most accomplished people at Harvard. He has helped to overturn scores of wrongful convictions and to free thousands from wrongful incarceration. A sought-after defense attorney and the director of Harvard’s criminal-law clinic, he became the first African American in the institution’s history to be appointed as a faculty dean, a pastoral role that includes residing at Winthrop House among its undergraduates. But a vocal faction of students now want to force his resignation, an escalating controversy covered most thoroughly in The Harvard Crimson. Sullivan faces this “clamor of popular suspicions and prejudices” because he agreed to act as a criminal-defense attorney for an object of scorn and hatred: Harvey Weinstein. His detractors should know that by undertaking to represent such a client, Sullivan is participating in a tradition older than the nation itself. The British soldiers who opened fire on a crowd of Bostonians in 1770, killing five, were among the most reviled men in the 13 colonies. Harvard alumnus John Adams, a patriot with aspirations for political office, agreed to defend them at trial, even though he knew that he was risking not only his reputation, but the safety of his family, because aggrieved Bostonians felt that their safety was implicated.